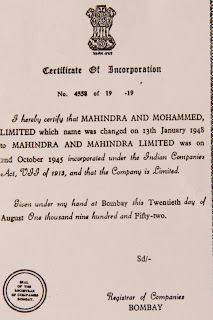 Mahindra & Mahindra was originally known as Mahindra & Mohammed, named after the founders.Mahindra & Mohammed was started as a steel company in Mumbai. In 1945, two enterprising brothers named J.C. Mahindra and K.C. 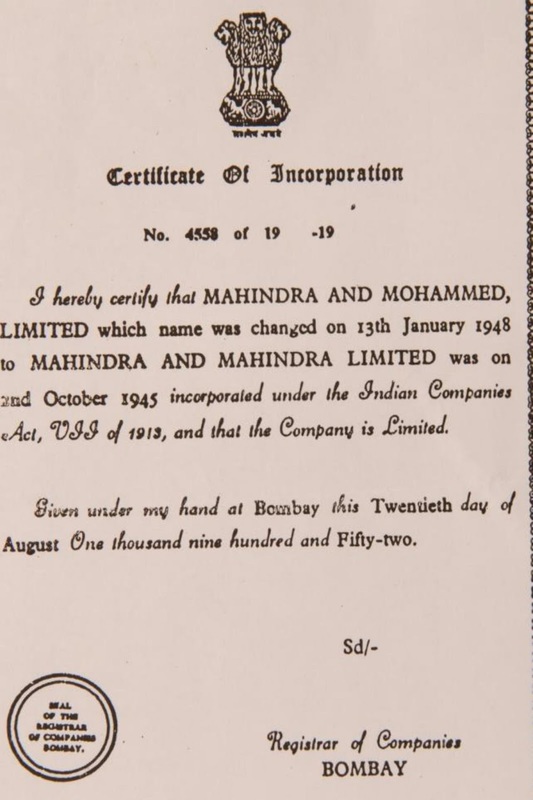 Mahindra joined forces with Malik Ghulam Mohammed and started Mahindra & Mohammed as a steel company in Mumbai. When India won its independence, Malik Ghulam Mohammed left the company to become Pakistan’s first finance minister. Mahindra brothers ignited the company’s enduring growth with their decision to manufacture Willy’s jeeps in Mumbai. The company’s new name was Mahindra & Mahindra. They established the company as the Jeep manufacturers of India and later on branched out into the manufacture of light commercial vehicles (LCVs) and agricultural tractors. The Mahindra group as a conglomerate has invested and branched out into different domains from information technology to hospitality. The US based Reputation Institute recently ranked Mahindra among the top 10 Indian companies in its ‘Global 200: The World’s Best Corporate Reputations’ list.